Having only started gigging in May last year, folk singer-songwriter Kelly Oliver has made quite an impact. Within months of starting she found herself invited to open Folkstock Festival before, incredibly, bagging herself a spot at the prestigious Cambridge Folk Festival. It marks a mighty rise for someone who has been on the circuit for less than a year, and with single ‘He Walked on the Side of the Sea’ out March 17th, we took the chance to ask her a few questions. Many of our readers won’t have heard of your music before, how would you describe your sound? I would say it’s influenced by traditional folk music. Traditional Irish folk music definitely, but I do have country influences. I’m influenced a lot by Dolly Parton, and people like Kenny Rogers, singers like Alison Krauss and Cara Dillon. But I think the way I write songs is influenced a lot by Irish folk music, the traditional ways. Really I take influences from all sorts, so I’m not sure how I’d describe it but that’s probably the best way. 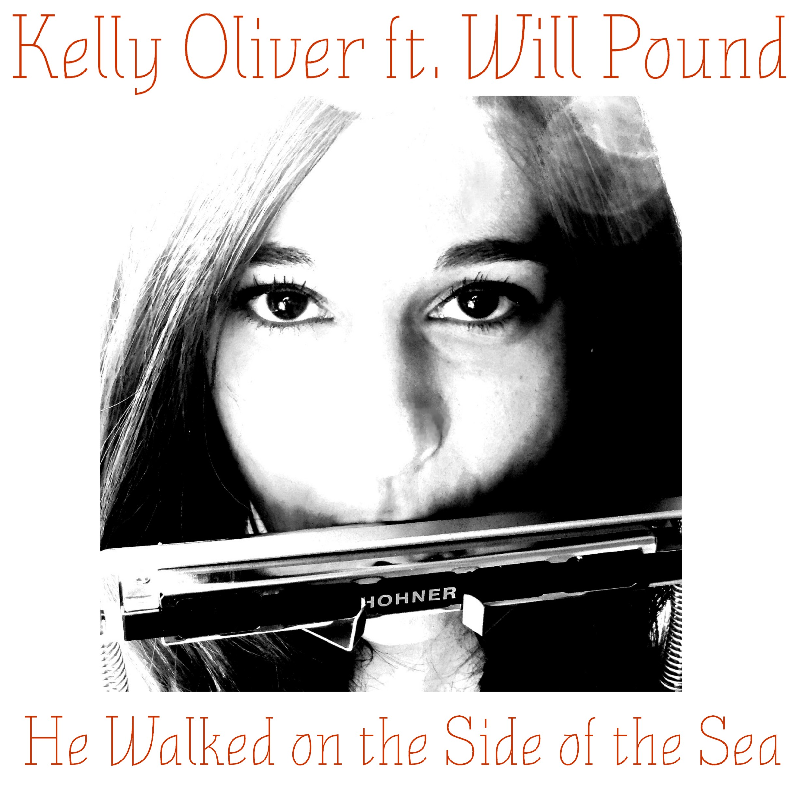 The upcoming single ‘He Walked on the Side of the Sea’ features BBC Folk Awards Musician of the Year nominee Will Pound on Harmonica. How did that collaboration come about? That was through Twitter! I followed him on Twitter – I was a fan of his a little bit before – and because I play harmonica I’d already had the song recorded [for EP ‘Far From Home – Ed]. But my manager just approached him to see if he wanted to do a collaboration, we sent him the song and he agreed. So it was quite quickly done actually, it was really good fun. Your rise since starting out last year has been stratospheric – did you have any inkling you’d get the reaction you have when you started out? Not at all. I went travelling basically, and once I went I decided while I was out there that I wanted to at least have a go at the music. I didn’t know anything, I never thought what could happen. At the beginning I just focussed on trying to do gigs, got myself a Facebook stage and started at the bottom really. Started with trying to promote myself online and approach people for gigs. I guess it’s the same way every musician starts, so I never thought I would even have the chance to record an EP let alone the things that have come from that so it was really shocking! ‘He Walked on the Side of the Sea’ was originally released, minus Will Pound, as part of your EP ‘Far From Home’, which has been a big part of your success so far. Do you have any plans for a follow up as yet? Yeah, we do. There’s going to be an album that will be recorded and released this year. I have got some songs that I’m looking to put on there but then there might be some that I haven’t written yet, depending on finding the time to write and record. Where is the best place to find your music online? My website is www.kellyoliver.co.uk, and from there there’re links to my Facebook page, my Twitter and Soundcloud. And it can also be found on Amazon and iTunes.